Posted by Derek Bruff on Monday, April 17, 2017 in News. The Center for Teaching is excited to announce that Brightspace is now available for instructors planning their summer and fall courses. 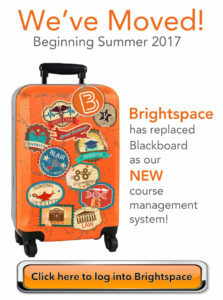 Brightspace will replace Blackboard as Vanderbilt’s course management system starting this summer. The new platform has a modern, responsive design and a number of features that faculty and students will find useful, including drag-and-drop file management, a mobile friendly interface, a virtual classroom, and a student portfolio tool. Faculty are invited to visit http://brightspace.vanderbilt.edu, login with their VUnetID and password, and explore the new system. When faculty login, they will see their Summer and Fall 2017 courses, ready for development. Students are welcome to visit Brightspace, as well, although they might not see much there until their instructors make their courses active. In the meantime, students are encouraged to read about Brightspace features for students. 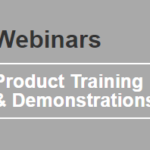 To learn how to use Brightspace, visit the CFT’s Brightspace support site, http://www.vanderbilt.edu/brightspace, which features on-demand resources such as tutorials and walkthroughs, as well as information about upcoming Brightspace training sessions. CFT staff are available on request to come to departments and schools to provide general introductions to Brightspace or more tailored orientation sessions. Faculty will have access to older courses (from Summer 2014 to present) on Brightspace. Migration of these courses from Blackboard is ongoing. Need access to a course from Blackboard that hasn’t been migrated yet? Just contact Brightspace Support at the CFT (brightspace@vanderbilt.edu or 615-322-0200) and let us know which course you need. Note, however, that only instructor-created materials from older courses will be migrated from Blackboard. Student materials, such as assignments, discussion forum posts, and all gradebook data cannot be migrated to Brightspace. Instructors and students will lose access to Blackboard when it is archived in July 2017, but anyone who needs access to older Blackboard material (including student materials) from that time forward can request access via brightspace@vanderbilt.edu. 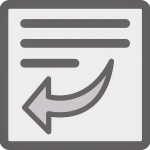 During the transition, streaming media previously posted to Blackboard through Kaltura (“My Media”) will be available on both systems. Instructors can read about how to access media on the two systems. Questions about Brightspace? 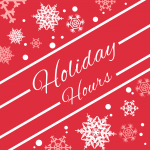 Feel free to reach out to Brightspace Support at the CFT (brightspace@vanderbilt.edu or 615-322-0200).